Advanced Additive Manufacturing: 3D Metal Printing is an emerging Additive Laser Metal Sintering (3D Laser Metal Printing) Manufacturing Technology with a presence in numerous industries including medical, aerospace, automotive, and defense. 3D Printing has diverse applications including the manufacturing of highly complex geometrics, fast track prototyping, mold fabrication & repair with new emerging technically driven applications in high-tech engineering and electronics. 3D Laser Metal Printing is a layered, digitally driven additive manufacturing process that uses high quality focused laser energy to fuse metal powders into 3D objects. Today’s DMLS systems have fulfilled the role of fast track prototyping, however, these systems have been confirmed across all market sectors failing to provide the level of parts quality that requires regulatory approval (FDA/FAA) with regards to patient and/or passenger safety prohibiting metal printing companies from moving applications into a production environment. 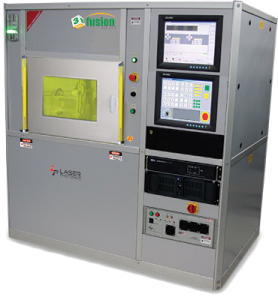 Laser Photonics’s next-generation metal printing systems addresses common industry applications utilizing the company’s proprietary IP developed for parts quality and optimized for manufacturing purposes. Each 3D Printer features a hermetic laser sintering chamber purged by high purity nitrogen, argon or other process gas for optimized sintering atmosphere, this attention to detail is critical for high quality end results, in terms of metal density and internal metal quality with no oxidation and pores. It is particularly crucial when building 3D parts from highly reactive NANO powders such as titanium, where minimized oxygen content is critical. For non-reactive NANO powders, one can use different process gases like nitrogen, argon or even, in some cases CO2 gas. 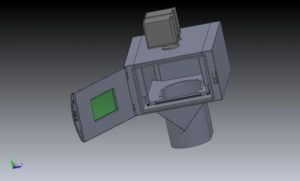 Each 3D System has external feeding and sealed recyclable powder containers with locks to allow their removal or connection while the process is running, keeping the entire process under inert atmosphere. One can replace the feed container without process interruption for adding NANO powder, or returning the overflow powder into the main system. Our simplified gravity based nano-powder dispense and recovery system not only reduces the size of our system on your production floor, but also eliminates closed-loop system, used by alternate suppliers, where inert gas is wasted as the transportation vehicle as well as unnecessary maintenance time cleaning the lines especially when changing metals for the next build cycle. The beauty of our simplified system materially reduces the introduction of moisture into the nano-powders and partial pressure in the build chamber that can lead to oxidation and other desirable elements during the build cycle. Our 3D systems have incorporated years of laser system material processing and powder handling design experience, based on real life manufacturing industry requirements. From series production of implantable devices to complex lattice structures or detailed aerospace geometries, our 3D Printers are capable of fulfilling the requirements of a manufacturing system. With the extended Z-axis option it is possible to build parts up to a maximum height of 350 mm. All file and data preparation is done off-line in an office environment and while the system can be a tightly controlled manufacturing cell, the file preparation software also features useful process development tools for high level users. Double productivity if our system is upgraded to incorporate one or two Sintering Heads coupled with one or two laser sources. Heads can be configured for independent operation or Master/Slave configuration when one head is precisely following the operation of another. 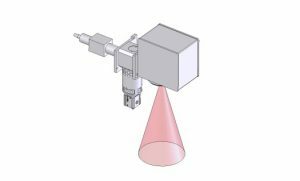 Built-in coaxial vision system – camera-based monitoring system for tool repair and inline fused materials quality verification. The two monitors show the GUI of the Laser 3D Printing Software and the Vision System Software. Vision Server is an application which works with a video capture card to allow a user to create, or use, a training set from which the operator can search for a trained pattern. All functions of Fonon Vision Server can be operated remotely either by command line or a graphical user interface. The Fonon Vision Server functions in conjunction with several “client” applications that allow third party software, such as Laser Photonics Fusion 3D, to remote control the Vision System. Our hermetic vacuum grade process chamber includes a laser rated protected viewing window to assist in nano powder re-deposition. The chamber includes 2 precision coated windows for viewing sintering laser beams, access powder collection containers, the powder feeding and receiving container as well as the powder delivery system. Our Vacuum grade process chamber reduces gas consumption, keeps feeding and receiving powder containers under a common atmospheric pressure build chamber in an inert gas atmosphere. This design concept reduces potential water vapor and gas below artificial valves including the dew point temperature. Finally, our build chambers are designed for single and dual head configurations. Laser Photonics digital encoder technology extends the company’s fully digital solution platform by providing highest dynamic performance with closed loop XY-stage precision, as well as comprehensive position feedback and process monitoring across the entire family of High and Low Power motion systems from Laser Photonics. 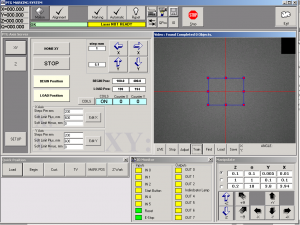 This enables applications that require both high precision and high throughput, a property mix unachievable with conventional motion systems for beam-positioning or material positioning technologies. Digital encoders are integrated into all of Laser Photonics Direct Drive motion systems; Fusion 3D Systems and Fiber Scan dynamic focusing units. The use of closed loop digital positioning enhances precision without compromising dynamic performance or mechanical dimensions. The Digitally controlled closed loop optical system exceeds the high dynamic performance of the industry proven galvo based solutions. It enables a laser traveling with a positioning resolution of 19-20 bits, exceptionally low noise value, best linearity and lowest drift. A comprehensive 20-bit communication is completed via Fonon’s family of high power systems featuring the industry’s first fully digital architecture. 3D Build pitch can be precisely adjusted for 3D layering applications and eliminates most of the unwanted effects leading to a geometry distortion. Precision 3D applications require a small-spot-size laser beam to be precisely positioned within a large build area, Fonon’s digital closed loop direct drive technology helps optimize build rate, precision, beam positioning speed, resolution and linearity, while substantially reducing drift effects. The digital solution extensively enhances the range of diagnosis and communication capabilities between the 3D System and remote computer provides information on operating hours, serial number, manufacture information and essential operational data. Thus, defects can be quickly detected and eliminated. To boost speed and/or positioning accuracy Fonon can equip its digital servo firmware with multiple Control algorithms and parameter sets (tunings). Switching between different algorithms or sets (even during processing) allows Beam Positioning head dynamics to be reconfigured and thereby optimally adapted to particular task requirements. Fusion 3D System Beam Positioning Heads allow real-time monitoring of all key operational states of the system, and equipped with coaxial vision system. As a result, the 3D Part build process can be simulated or monitored.